Moscow Oil Refinery is undergoing a long term RUB130bn (approximately $3.4bn) modernisation project. Gazprom Neft will invest more than RUB 50bn for the modernisation project from 2013 to 2015. The reconstruction of the process furnaces is underway. The new catalytic cracking and gasoline hydrotreatment unit of Moscow Oil Refinery. The refinery accounts for 40% of the local demand for petroleum products in the city of Moscow and the neighbouring regions. 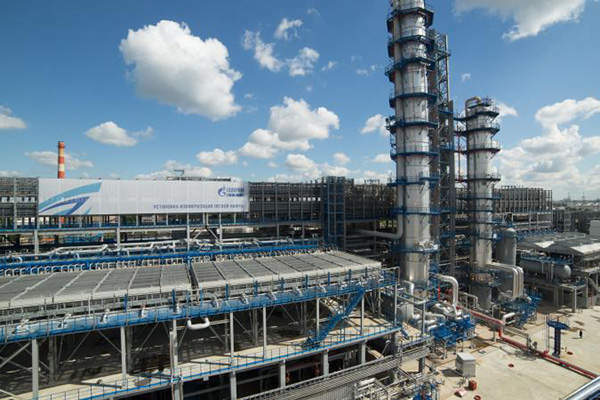 The largest oil refinery modernisation project in Russia is being implemented at Moscow Oil Refinery. The project aims to improve the quality of oil products, increasing the depth of oil refining to improve production, and reducing the environmental impact of the refinery. Moscow Oil Refinery, with an overall installed capacity of 12.15 million tonnes of crude oil per year, is owned and operated by Gazprom Neft. The refinery accounts for around 40% of the local demand for petroleum products in the city of Moscow and the neighbouring regions. The long-term modernisation project started in 2009 and is expected to continue until 2020. The overall investment for the project is expected to reach more than RUB130bn (approximately $3.4bn). The total investment on the project in 2012 was RUB20bn (approximately $521m), while the investment from 2013 to 2015 reached RUB50bn (approximately $1.3bn). The refinery started producing motor fuels of grade 4 and higher since April 2012 and began Euro 5 diesel production in 2013. 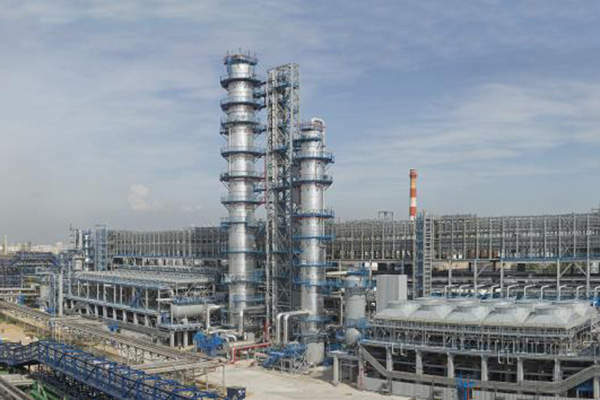 Tuapse refinery, located on the Black Sea coast in the Krasnodar region of southern Russia, is undergoing a capacity expansion and upgrade. The refinery’s first thermal cracking unit came online in April 1938. More than 20 units and processing facilities were installed by 1965. By 1970, the refinery started producing high-octane gasoline with the installation of a CDU / VDU-6 unit. A catalytic reforming unit and a diesel fuel hydro- treating unit were also put into operation by the same time. The refinery’s processing capacity stood at five million metric tonnes per annum. The processing volume of the refinery during 1970-1995 reached 9.4 million metric tonnes per annum. 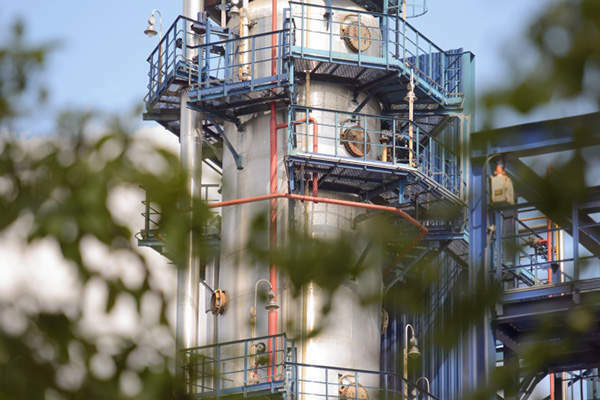 The period witnessed the installation of a catalytic cracking unit in 1983, a reforming unit in 1986, a diesel fuel hydrotreating unit in 1988, a polypropylene unit, and a methyl tertiary-butyl ether (MTBE) unit. The CDU / VDU-6 and the catalytic cracking units were modernised during 1996–2009. The production of Euro 3 fuels was started in 2003 and the processing volume of the refinery during the period reached 9.8 million metric tonnes per annum. The construction of the new closed mechanical wastewater treatment facilities with a capacity of 6.7 million cubic metres per year was completed in 2012, while the existing treatment facilities were simultaneously decommissioned. The next phase of closed wastewater treatment facilities with membrane biological reactors, which were integrated with the existing new facilities, came online in October 2017. The modernisation of the bitumen plant, with a capacity of 1.7 million metric tonnes per year, was also completed in 2012. The two facilities reduced the pollutant emissions by 98% and 90% respectively. 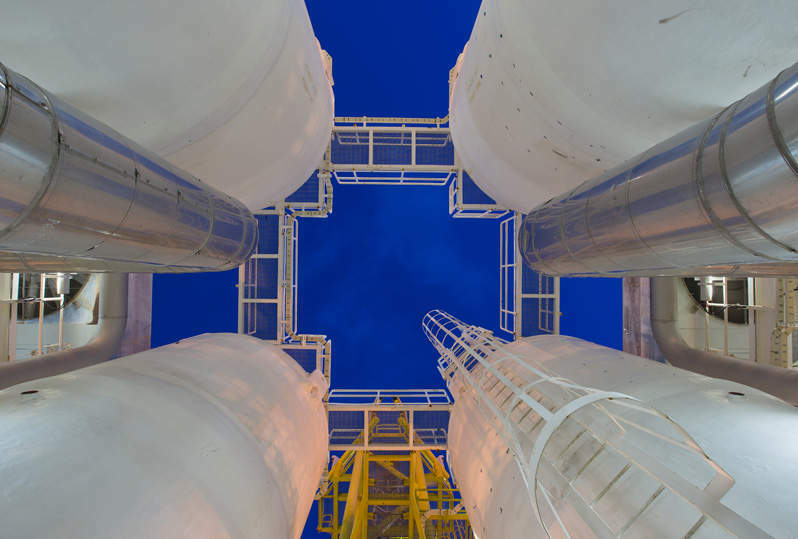 A new catalytic cracking and gasoline hydrotreatment unit and a light naphtha isomerisation unit were installed in 2013, which enabled all fuels produced from the refinery to meet the Euro 5 quality standard. The completion of these units marked the completion of the project’s first phase. The former has an annual capacity of 1.2 million tonnes and was constructed with an investment of RUB5.7bn (approximately $148.5m). It implements a technology licensed by Axens. The latter implements a technology licensed by UOP Honeywell, has a capacity of 650,000t per annum and was constructed with an investment of RUB10.9bn (approximately $284m). 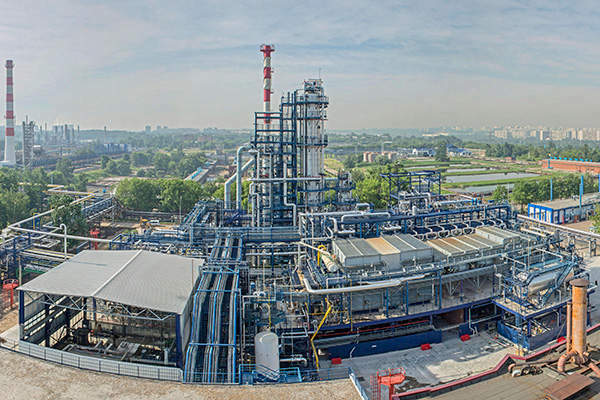 The LP-24-2000 diesel fuel hydrotreatment unit with a capacity of two million tonnes per annum was also renovated in 2013, which enabled the start of Euro 5 diesel production from the refinery. The unit implements a technology licensed by Albemarle and was renovated with an investment of RUB6.5m. The reconstruction of the sulphur unit and process furnaces is in progress and will considerably reduce hydrogen sulphide emissions, upon completion. An automated emission monitoring system was also installed at the Moscow Refinery in 2014. The construction of a combined oil refining unit (CORU) with a capacity of six million tonnes per year is scheduled for completion in 2018. 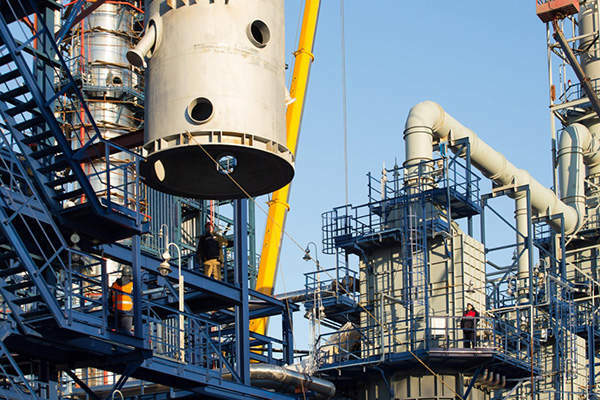 The CORU project involves the installation of crude distillation and vacuum distillation units (CDU & VDU), a continuous catalytic reforming unit integrating naphtha hydrotreatment and hydrogen recovery by pressure swing adsorption, a diesel hydrotreater unit integrating both UOP Honeywell’s Unionfining hydroprocessing solutions and EMRE’s distillate de-waxing technology, a gas plant incorporating a liquefied petroleum gases sweetening unit, and common utilities. The general design engineering works for the overall project are being carried out by VNIPIneft, while the main construction contractor is Promfinstroy. Foster Wheeler was awarded a contract in May 2013 to perform the front-end engineering design (FEED) for the CORU project. It was also contracted to provide the design for the CDU & VDU units and the gas plant prior to the award of the FEED contract. Armtel supplied its distributed public addressing and general alarm (PA / GA) system for the isomerisation plant, boiler house, water processing and cooling unit, transformer station and gasoline hydrotreatment unit, including the IP-based intercom system for central control rooms.